The TAQUIN trousers are those of the ESPIEGLE overalls without its playful apron. 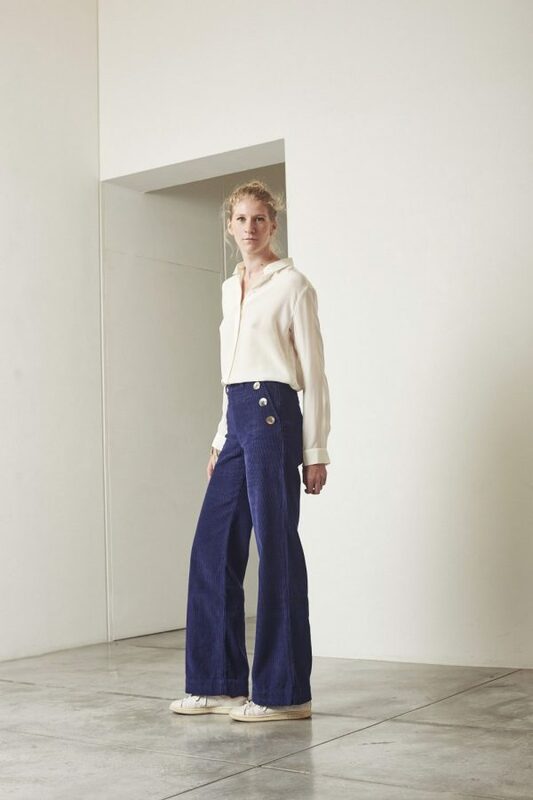 The TAQUIN trousers subtly outline the woman’s curves while lengthening her beautiful legs. Because of the TAQUIN trousers simple lines and clean cut #lafillevanwiele is always very elegant. The TAQUIN trousers gets its edge from the colors and fabrics while the three buttons makes it mischievous.